Super Junior’s Heechul was hit with an LED board while performing at the “Super Show 3” concert in Shanghai, and it’s being reported that he visited a hospital immediately upon his return to Korea. 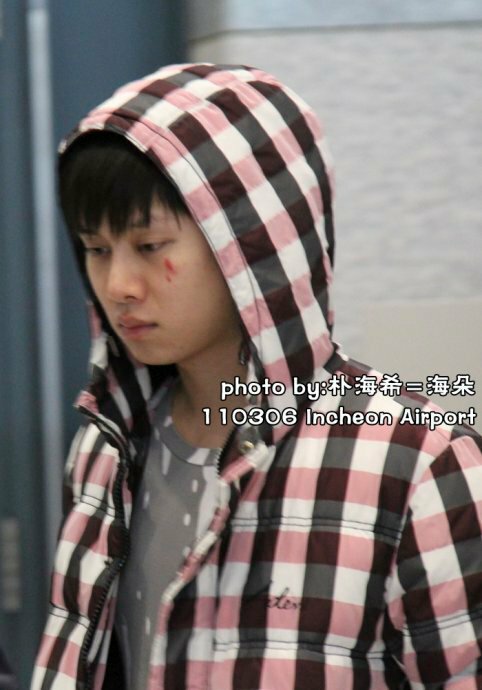 Because the injury happened the day before Heechul was to celebrate his sixth year anniversary, fans expressed their disappointment with the turn of events. A representative of SM Entertainment spoke with Star News on the morning of the 7th and revealed, “Heechul’s face was scratched by an LED board a fan threw to him as a present. Immediately upon his arrival in Korea, he was taken to a hospital in Seoul. Thankfully, his examination results proved that it wasn’t a serious injury. This entry was posted on March 7, 2011 by heedina. It was filed under Boy Band, Concert/Show, News and was tagged with heechul, kim heechul, Super Junior, Super Junior Heechul.